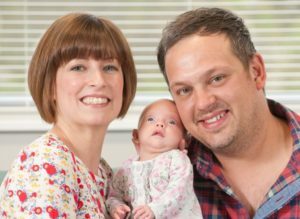 Sian and Ryan Chase beamed from ear to ear as they introduced baby daughter Yvie, born through IVF in Norfolk, to the people who made her life possible. 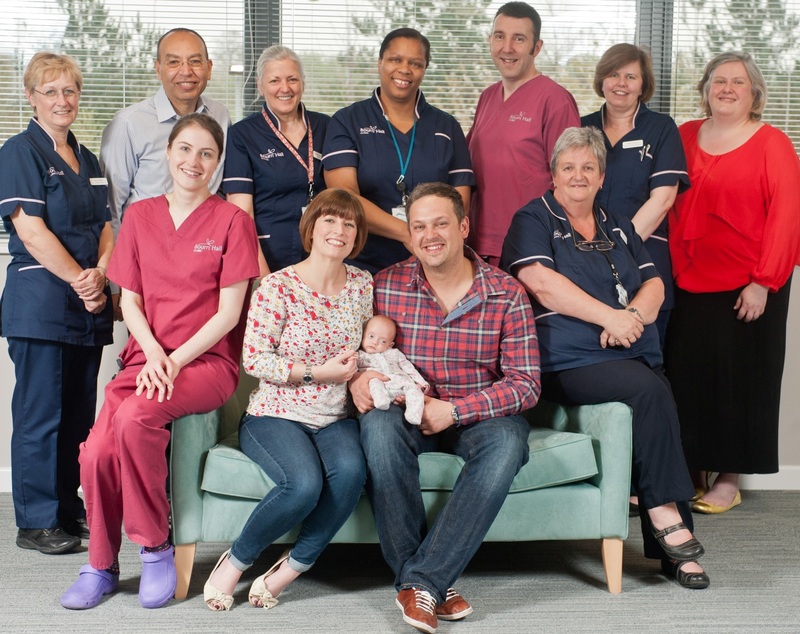 She is the first baby to arrive following treatment at Bourn Hall’s Wymondham clinic since it opened in June 2013. Lead Nurse Sherry Ebanks was delighted to welcome the Chase family back to Bourn Hall in Wymondham, Norfolk’s only full service IVF clinic, last month: “Meeting Yvie was an extra special moment. She epitomises everything the team have worked towards since the day we opened. It was fantastic to meet her! “We have treated more than 200 patients at Wymondham in the past year. We always thought there’d be significant interest but it has been far greater than we expected and it’s been a really exciting time. The Chases, from Lowestoft, waited more than five years to have the baby they so desperately wanted. They started trying for a family after getting married in 2008 and after a year went by with no success, the couple went to see their GP. Several months passed and the couple were referred to hospital for fertility testing. 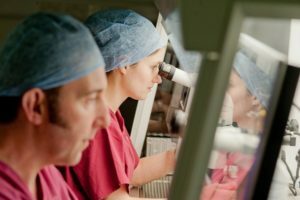 It revealed that Sian had endometriosis; cells that form the womb lining were growing outside of the womb in abnormal sites such as the ovaries and fallopian tubes and were causing the couple’s infertility. Sian and Ryan were referred for IVF treatment in spring 2013 and chose Bourn Hall’s brand new, state-of-the-art Wymondham clinic, just off the A11 south of Norwich. The couple were able to get an appointment very quickly and much closer to home than they had anticipated. “Coming to Bourn Hall we felt we had made it. We had utmost confidence in the staff. They are professional and caring and we felt in expert hands,” Sian recalled. Find out more about our Peterborough clinic on the Our Family page here.